What was the Group Theatre’s significance? Some of the answers are fairly obvious: In their best plays — “The House of Connelly,” “Success Story,” “Awake and Sing!,” “Paradise Lost” — the Group brought the tumult of life in the 1930s onstage, reconnecting the theater to the world of ideas and action in the society around them. “Waiting for Lefty” was more than a play. It was a historic event; actors and audience literally tore down the walls between theater and real life, performer and observer, artists and ordinary people, asserting for one thrilling moment a unity of emotion and belief that is the greatest joy the theater can offer. Their two biggest commercial hits, “Men in White” and “Golden Boy,” weren’t quite at that level, but they were superb productions of scripts that defensible compromises for the sake of getting their message across to a larger audience. Some of the Group’s failures, despite their artistic imperfections, were as interesting and important in tenor own way as the successes. 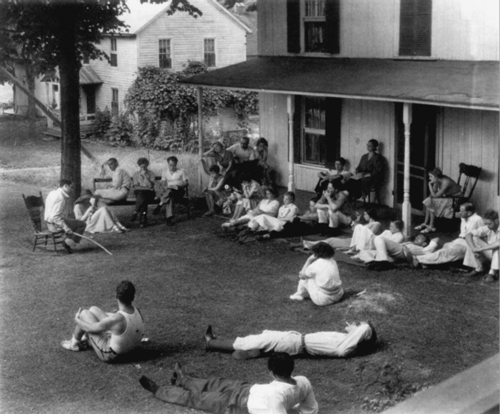 “1931” — captured the terror of the early Depression years; “Gentlewoman” expressed the agonizing ideological uncertainties of one of America’s most politically charged decades; “Johnny Johnson” was a warm-hearted piece of Americana and an important syllogistic experiment that suffered more than the Group’s internal problems than any basic flaw in its conception. 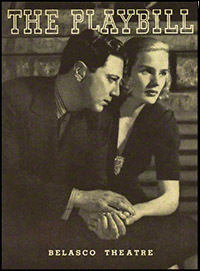 The post 1937 plays marked a retreat from the Group’s earlier intensity, but “Casey Jones” and “Thunder Rock” were both worthy attempts to grapple with important issues of the day, “Rocket to the Moon” was Odets’ most psychologically profound drama, and “My Heart’s in the Highlands” was a triumphant exercise in sheer theatricality. The Group’s record of productions remains an example of how good work a theater with a well-defined credo and commitment to continuous activity can create. It must be admitted that many of the Group’s most famous efforts haven’t aged well. It’s possible to read “Lefty” and still be moved by the passion, but it’s doubtful that it could be performed with any credibility. The other Odets’ plays can be done, as witness a lovely public television version of “Paradise Lost” in the 1970s and an English production of “Rocket to the Moon” with John Malkovich, but too often they’re turgid and stagy, with the actors and the directors unable to find any living significance in scripts written fifty years ago. Most of the Group’s plays have vanished from the repertory, but that’s the usual fate of contemporary drama, especially in America. For every Eugene O’Neill, Arthur Miller, Tennessee Williams, or even Clifford Odets, there have been dozens of playwrights who did good work that meant something to audiences of their day but for a variety of reasons haven't been admitted into the canon of writers whose plays continued to be read and performed. 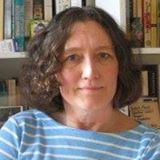 (The politics of who gets into the canon and who doesn’t is the subject for another book). The Group’s guiding principle was the desire to present plays reflecting the life of their times, which they did in the most exciting way. If most of their plays were ephemeral, thats more because theater is primarily an art of the moment than because of the Group failing. Though many in the company argued passionately that the Group should assay the classics, it’s unlikely such an effort would have prolonged the organizations’s life. The Group’s impact on American acting was more lasting. The sincerity, realism and emotional depth of their performances were a revelation to audiences and fellow actors alike. 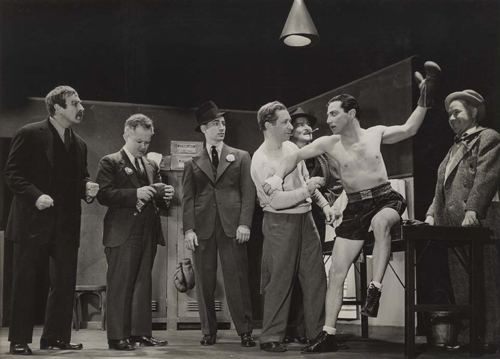 True, their strange exercises prompted considerable mockery from more cynical theater folk — not to mention the press — which loved to poke fun at the Group’s intense seriousness — but there was no arguing with the results. In play after play, Group actors prove that characters onstage need not be a series of conventional attitudes, but could speak, move and even feel with the quirky individuality of real people. Because they looked as well as acted like ordinary men and women, not stars, and because the plays they produced assumed that the problems of these people were worthy of serious attention, the Group asserted the dignity and importance of a class that has been previously excluded from Broadway and drew in new audiences thrilled to discover that culture was for them too. These audiences didn’t necessarily know how the Group created such a compelling sense of reality; they simply sensed the pretense of ideas and emotions that gave each character an inner life of absolute authenticity resonating under the text ad enriching it. By the late thirties, even critics who formerly disdained the Group’s arty ways routinely paid tribute to their brilliant acing, The Group had the last laugh over the skeptics. The combination of The Actors Studio, which made the Method a household name, and the world of other Group alumni who became teachers exposed a huger number of American actors to the Stanislavsky System. Different teachers emphasized different aspects of it — affective memory in particular remains as controversial today as it was in the Group — but the idea of a systematic approach to the craft of acting was firmly implanted in the vast majority of American actors. Emotional truth was the foundation, but it was only part of what the Group expected from an actor. 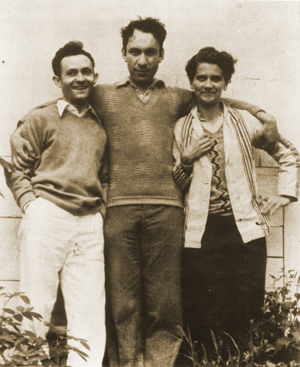 Strasberg and Clurman urged the actors, and they in turn told their students in later years, to go out and read books, look at paintings, listen to music, study history, philosophy, and geography. Reading Nietzsche would give them insight into the tormented souls of O’Neill and his characters. Knowing that it was dark most of the time in Norway during the winter, that the towns were surrounded by mountains would help them feel the claustrophobia of an Ibsen play. A german Expressionist painting gave vivid physical particularity to the edgy, explosive nature of early-twentieth century German society as it shaped the world view of Brecht. The Group brought their techniques to bear largely on contemporary plays, but they had broader applciation. They gave new dignity to the acting profession with their insistence on the actors’ start as a creative artist who much bring more to the script than his ability to say lines pleasingly. A distinguished list of productions offered over ten years; an acting technique that remains enormously influential; a new emphasis on ordinary experience — there were the Group’s specific contributions to the American theatre, and they weren’t trivial ones. To this day, no other American theater has managed to sustain the Group’s fruitful decade-long balancing act as a place where actors could study their craft, then apply the results of their classroom work in professional productions of important contemporary plays for paying audiences. 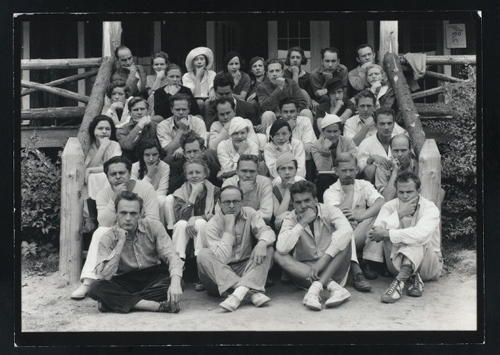 The Group’s ideal of a permanent company working year-round in the theater is, if anything, appears further from reality today than it was in 1931. Given the economic conditions that now govern both New York and regional theaters, it’s hard to believe a modern equivalent of the Group could ever be created — at least, not until another Harold Clurman comes along to convince another group of actors to do the impossible. 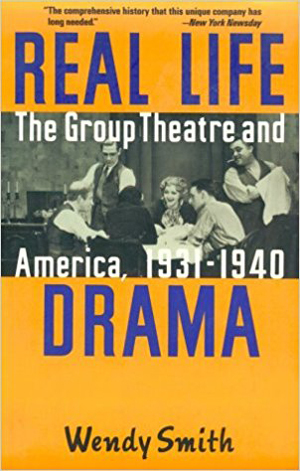 Excerpts from Real Life Drama: The Group Theatre and America, 1931-1940 by Wendy Smith. Reprinted with the permission of the author.